Each of the 242 rooms of the Grand Hotel Atlantis Bahia Real looks after every minor detail of their luxurious decoration. Enjoy spectacular sea views from the majority of them. 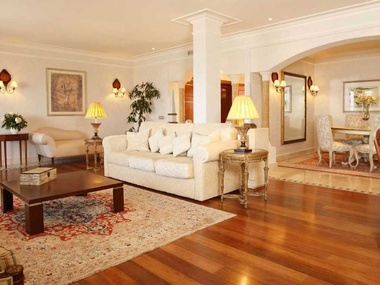 Elegance and comfort come together to offer guests a stay that is highlighted by relaxing and disconnecting in a wonderful environment. 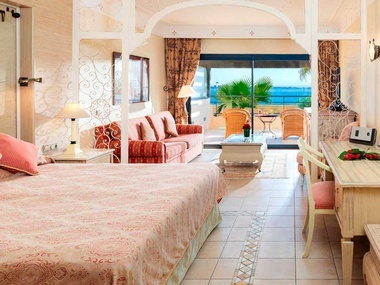 Different options to suit every need: Double Deluxe, Junior Suite, Spacious Suites, family rooms. Elegance and comfort prevail in our Double Deluxe rooms, highlighted by warm and welcoming decor and exquisite styling, ensuring a relaxing and unforgettable stay. Cast off the fine cotton sheets, draw back the curtains and let nature captivate you with breathtaking views of Lanzarote and Lobos islands. Our Deluxe Junior Suites are the ideal choice for families. 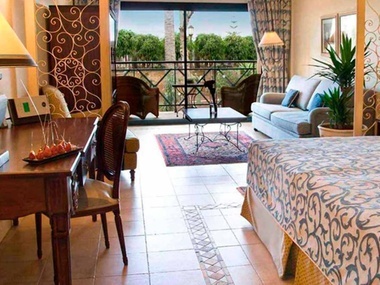 Exquisitely decorated and fully-equipped with many modern comforts, this is luxury family accommodation at its finest. 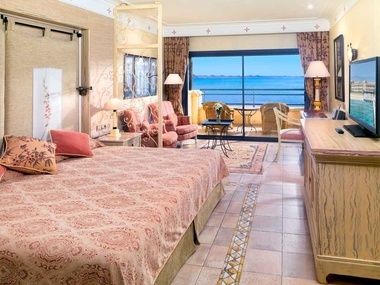 With spectacular ocean views, our Deluxe Sea View Junior Suites provide a haven of peace and comfort with the added bonus of grandstand views of the island’s glorious sunsets. Fully-equipped and magnificently furnished, you can be sure that no detail has been overlooked in the styling of these luxurious suites. 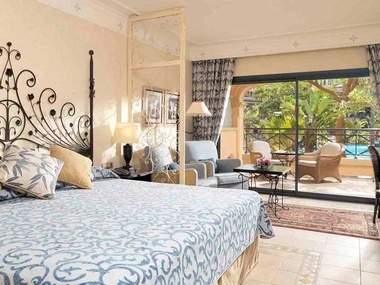 Extensive and exclusive rooms for families. Spacious accommodation composing of two double deluxe rooms with communicating doors providing the joint benefits of an intimate environment and the privacy that the communicating doors provide. 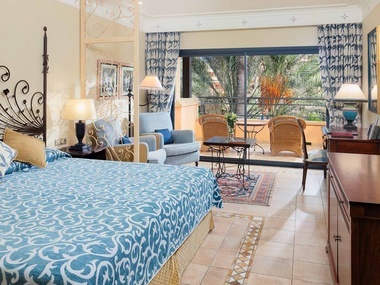 Indulge in the luxurious comfort of our special Atlantic Suites. Spacious and elegant, yet still cosy, each one is uniquely styled but all offer breathtaking sea views over the islands of Lobos and Lanzarote. 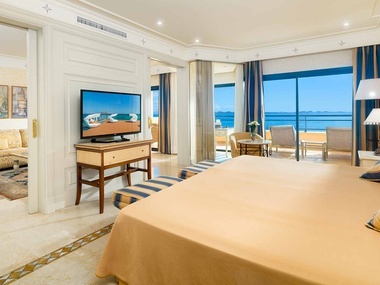 Enjoy the exclusivity and additional space of the Bahia Suite, two interconnecting rooms (Atlantic Suite and Double Deluxe Sea View) offering fabulous sea views and providing spacious luxury for discerning families. 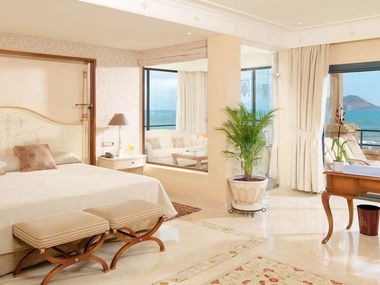 Discover the majestic splendour of our Royal Suite, where beauty, luxury and comfort combine. Prepare yourself for an unforgettable stay in the jewel of our hotel.